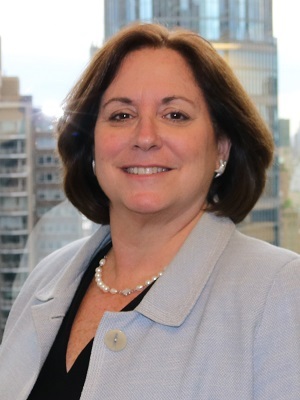 Susan S. Kilsby is Chairman of Shire, a global publicly traded pharmaceutical company with a market capitalization of approximately $45 billion and nearly 24,000 full-time employees (as of August 2017). She is also a non-executive director of Goldman Sachs International, Fortune Brands Home & Security and BBA Aviation where she is Senior Independent Director and chairs the Remuneration Committee. Mrs. Kilsby previously served on the boards of Coca-Cola HBC AG, Keurig Green Mountain, where she chaired the Audit Committee, and L’Occitane SA, where she chaired the Remuneration Committee. Mrs. Kilsby had a long and distinguished career at Credit Suisse where she worked with Star Mountain’s Chairman, Brian Finn (former Co-President of Credit Suisse First Boston), including as Head of the Global Consumer Products Group and Chairman of Mergers & Acquisitions for Europe, the Middle East and Africa (EMEA) within the Investment Banking division. She also served as a Senior Advisor to the firm. She has been recognized by both Forbes.com and Financial News as one of the Top Ten Women in Finance and recognized as a leader multiple times by Financial News. From 2010 to 2013 she was Chairman of the international region of C200, an organization composed of leading women in business globally, and was a founding member of the Competitor Diversity Forum in London. Mrs. Kilsby is a Senior Visiting Fellow of Cass Business School in London and Chairman of the M&A Research Centre at Cass. She is a member of Wellesley College’s Business Leadership Council and serves on the Board of Advisors for the Gordon A Rich Foundation. In her role as a Healthcare and Consumer Industry Advisor to Star Mountain, Mrs. Kilsby provides knowledge and insights to assist the team with industry research & analysis and assists its consumer and healthcare portfolio companies in maximizing their value.